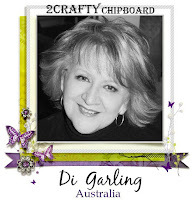 2 Crafty Chipboard : Some April Inspiration - Part One - By Di Garling"You Make Me Happy When Skies Are Grey"
Hello there lovelies, thank for stopping by the blog. & it features my gorgeous grandson Henry. He has the face of an angel although sometimes he sure doesn't act like one !! 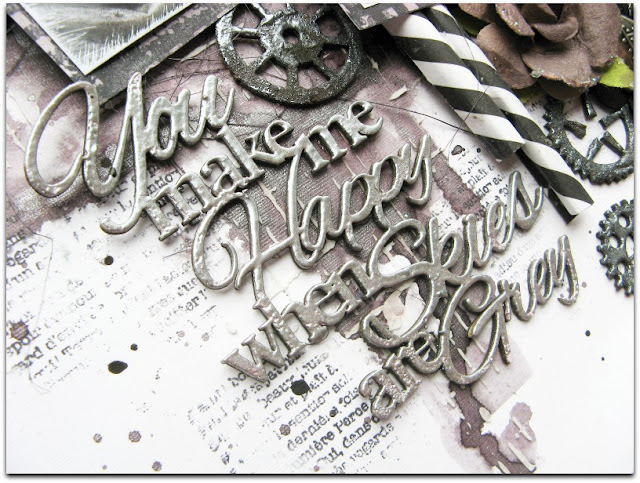 Title - "You Make Me Happy"
Lindy's Stamp Gang Embossing Powder - Queen Sheba's Silver. Perfect to achieve a metal look. 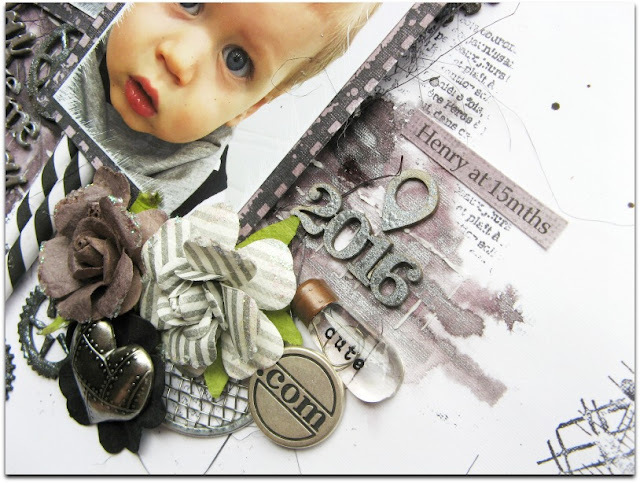 in Lindy's Stamp Gang "Queen of Sheba Silver". these same metal tones. 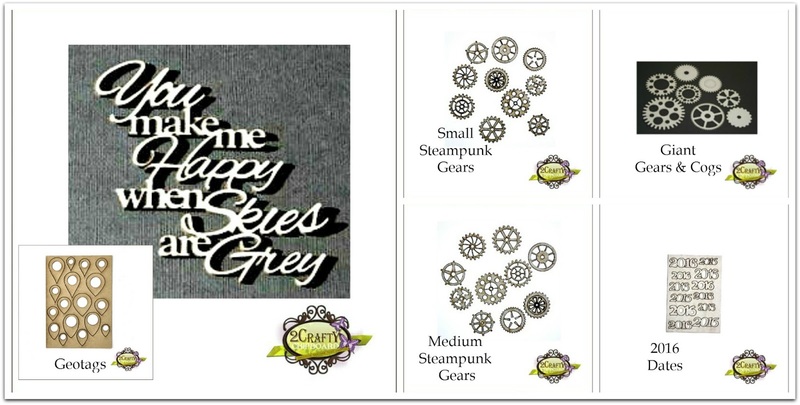 For ALL the different sized "Gears & Cogs"
#1. I inked them all in black ink. #2. Then I blobbed on some embossing ink with a dauber. #3. Then I sprinkled on some more of the same embossing powder. #4. Then I simply heat embossed them to achieve a realistic metal look. 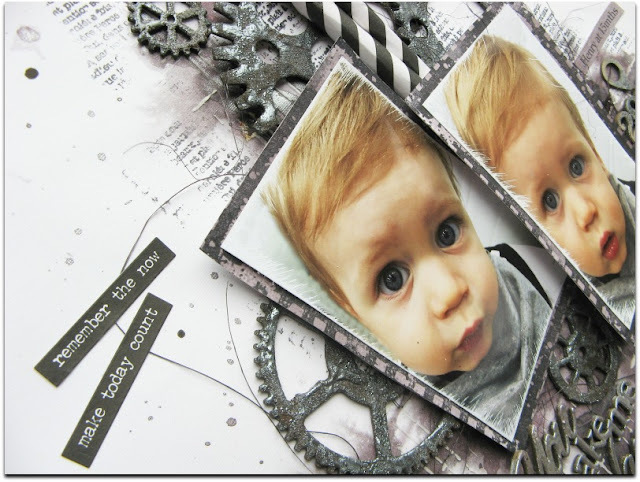 I have used a Lindy's Stamp Gang "Black Orchid Silver "spray for my background. & I have.... "cute.com", love love love it !! tomorrow with some more inspiration. Those eyes!!!! Gorgeous as always Di. 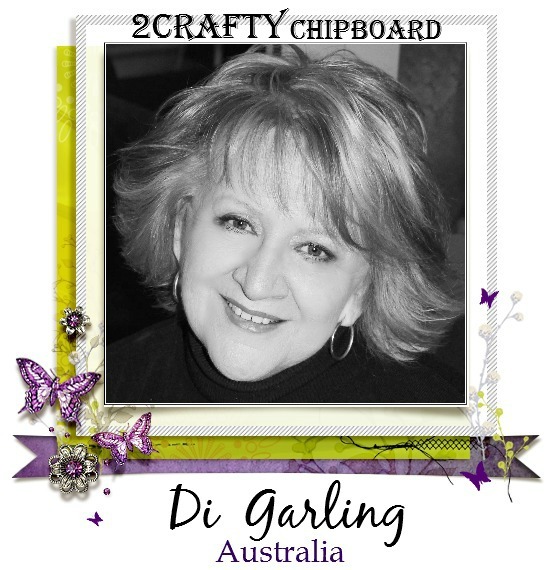 I love this layout, Di! 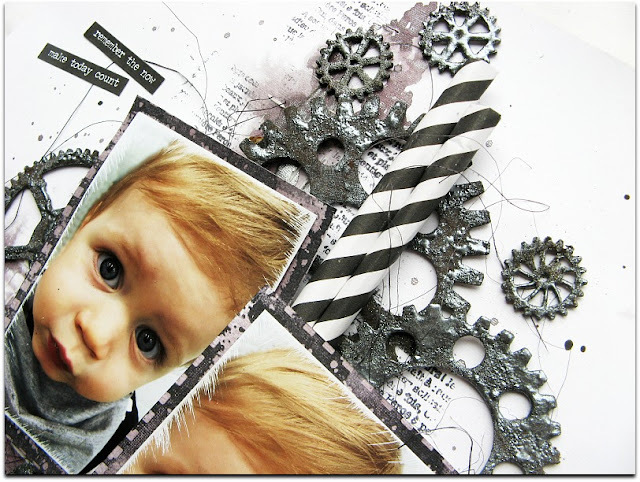 Love the grungy feel with all those gears! 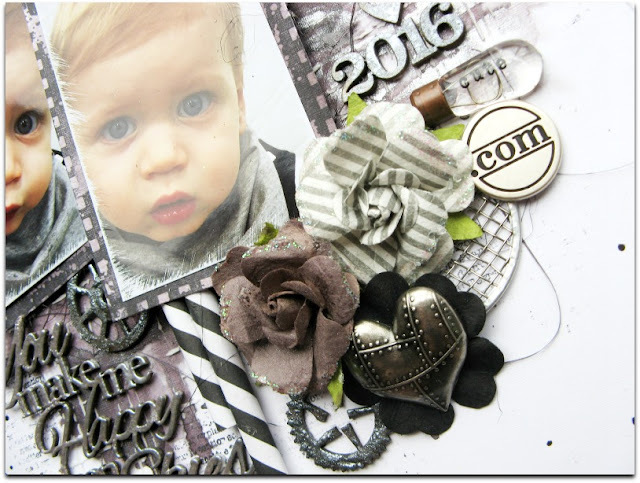 Fabulous masculine layout! The pictures are adorable! So adorable!! Love the metallic effect you did!